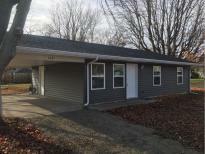 This home seems to be move in ready with newer carpet. Carport provides extra protection for vehicle. HUGE yard on a corner lot.